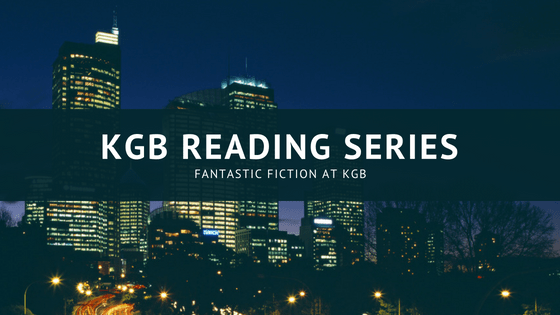 Ellen Datlow and Matthew Kressel, hosts of the Fantastic Fiction at KGB Reading Series, present two readers for April. The first reader is Dale Bailey, the author of eight books, including In the Night Wood, The End of the End of Everything, and The Subterranean Season. 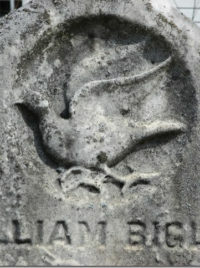 His story, “Death and Suffrage,” was adapted for Showtime’s MASTERS OF HORROR television series. His short fiction has won the Shirley Jackson Award and the International Horror Guild Award and has been nominated for the Nebula Award and Bram Stoker Award®. Arkady Martine will also be reading that night. Arkady is a speculative fiction writer and, as Dr. AnnaLinden Weller, a historian of the Byzantine Empire and a city planner. Arkady grew up in New York City and, after some time in Turkey, Canada, and Sweden, lives in Baltimore with her wife, the author Vivian Shaw. Her debut novel, A Memory Called Empire, has received starred reviews from Kirkus, Publishers Weekly, and Library Journal, was named a Library Journal Debut of the Month, listed on Publishers Weekly’s Top 10 Spring Debuts, and has been featured on NPR’s ON THE RECORD and AM 860 Philadelphia’s FICTIONAL FRONTIERS. Find her at http://www.arkadymartine.net or on Twitter as @ArkadyMartine. The readings will be held Wednesday, April 17, 7 p.m., at the KGB Bar, 85 East 4th St. (just off 2nd Ave., upstairs), New York City. For more information, please go to http://www.kgbfantasticfiction.org. Books will be available for purchase from Greenlight Bookstore. Subscribe to the mailing list: http://groups.yahoo.com/group/kgbfantasticfiction/.